While international efforts are under way to help keep dwindling populations of monarch butterflies from disappearing, scientists are raising concerns about how severe weather and a loss of forest habitat at their wintering grounds in Mexico are affecting them. 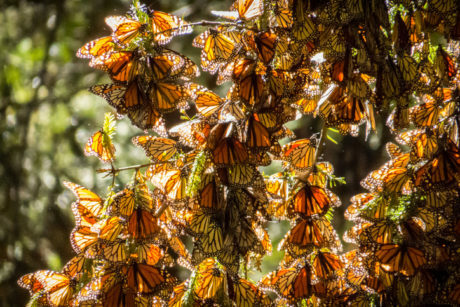 Every year, monarchs embark on an epic multigenerational migration that takes them thousands of miles from Canada and the U.S. in search of sites in California and in Mexico. The fir trees in the southern regions offer the shelter and warmth they need to survive the winter. Unfortunately, these vital forests in Mexico have been threatened by illegal logging, and now storms have destroyed hundreds of acres of habitat, while severe weather is believed to have killed an estimated 6.2 million of these iconic butterflies. These fragile butterflies already face high mortality rates along their route from other threats that range from predators and parasites to a loss of habitat along their migration path. They travel north in the spring in search of milkweed plants — the only plant that monarchs lay eggs on and caterpillars eat. But these plants are being destroyed by the herbicide glyphosate, which is sprayed on fields where genetically modified Roundup-ready corn and soy crops are grown. According to the Xerces Society, in the 1990s, an estimated one billion monarchs made this migration, but over the past 15 years, they’ve lost millions of acres of habitat and the number of monarchs has steadily dropped by 80 percent, or more by some estimates. 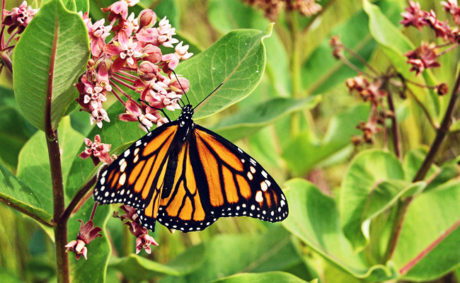 This week, the National Fish and Wildlife Foundation announced more than $3 million in grants from its Monarch Butterfly Conservation Fund, which have been matched for a total of $9 million. The funds will be used to restore approximately 16,000 acres of key habitat to support monarchs’ survival. For more info about ways to get involved in efforts to save monarchs that include creating habitat or participating in citizen science projects, visit the Fish and Wildlife Service’s Save the Monarch and the Monarch Joint Venture. 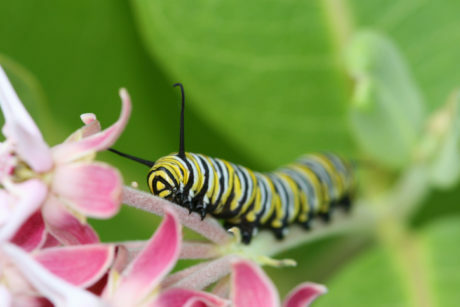 If you’re looking for milkweed plants, check out the Xerces Society’s Milkweed Seed Finder and Monarch Watch’s Milkweed Market, which both offer native seeds and seed guides by region for planting. And sign the Care2 petition asking the EPA to protect monarchs from Monsanto.